You are here: Home / GANN FAN / Nifty Breaks GANN Supports! 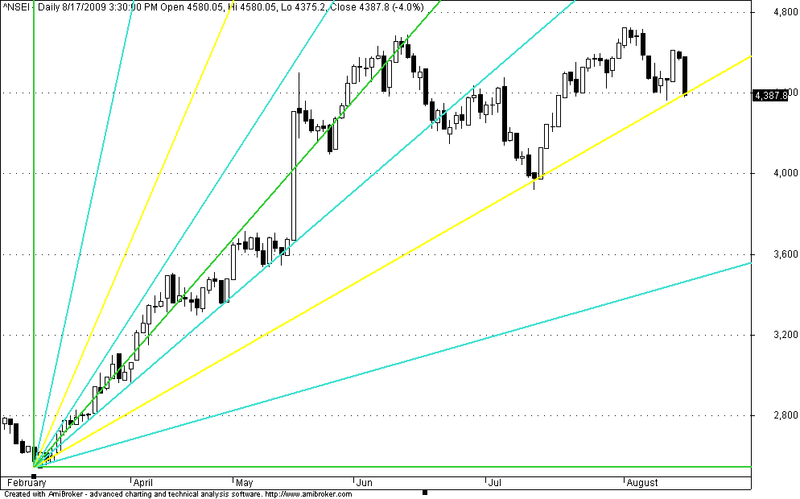 Nifty Hourly charts Chart shows that nifty GANN Supports got broken today near 4426 region. Now the resistance zone is updated to 4426-4450. Next GANN Supports near 3500-3700 levels!! !